The Seagate® Savvio® 15K.2 drive delivers more transactional performance density than any other drive in the world because it is the highest performing, greenest drive available for enterprise storage systems. By being able to use more than twice the drives per the same rack configuration than 3.5-inch 15,000-RPM drives, the Savvio 15K.2 drive delivers more than twice the system performance. This is especially important in high-performance and blade servers demanding optimized RAID performance per U. Building on the Savvio line’s industry-leading 1.6 million hours MTBF, the Savvio 15K.2 drive provides second-generation reliability in enterprise environments. The Savvio 15K.2 drive also offers the advanced SAS 2.0 interface and operates at 6-Gb/s transfer rates. SAS 2.0 provides the next generation of signal and data integrity features, making SAS ideally suited for use in high-end network storage applications. The SAS 2.0 feature set and 6-Gb/s transfer rate supports larger topologies by connecting more expanders, host bus adapters and RAID controllers within or across more storage arrays; by communicating over longer distances with high signal integrity, and by moving data two times faster, thereby doubling data throughput. This powerful 2.5-inch drive’s advantages translate into greater overall value to IT organizations and administrators who want to optimize their data center performance efficiency. 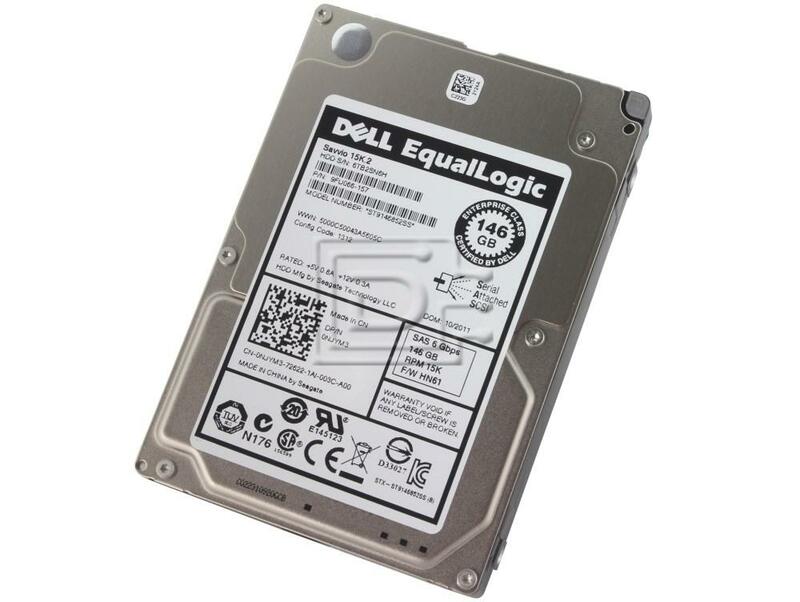 This drive is compatible with Equallogic servers that accept 2.5" SAS drives.